There are so many cookies I bake this time of year, I could never pick a favorite. There are some cookies that are a MUST bake, however. These cookie-candies are one of them. 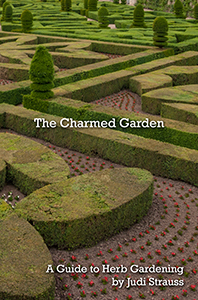 They get their name because, once decorated, they look like little pieces of candy. 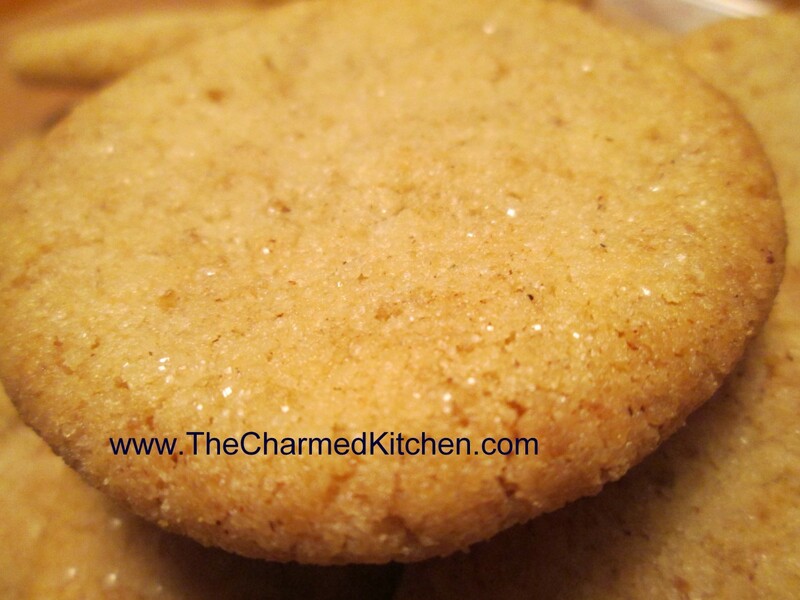 Under the sprinkles are rich and tasty oatmeal shortbread cookies. Shortbread cookies are always a favorite of mine. I think I make half a dozen varieties of shortbread. The dough is easy to handle. You just shape small amounts into shapes like circles, squares and ovals. They hold their shape. Like most shortbread, they bake at a lower temperature than other cookies. They also bake a bit longer. They should be a little golden on the bottom when done. 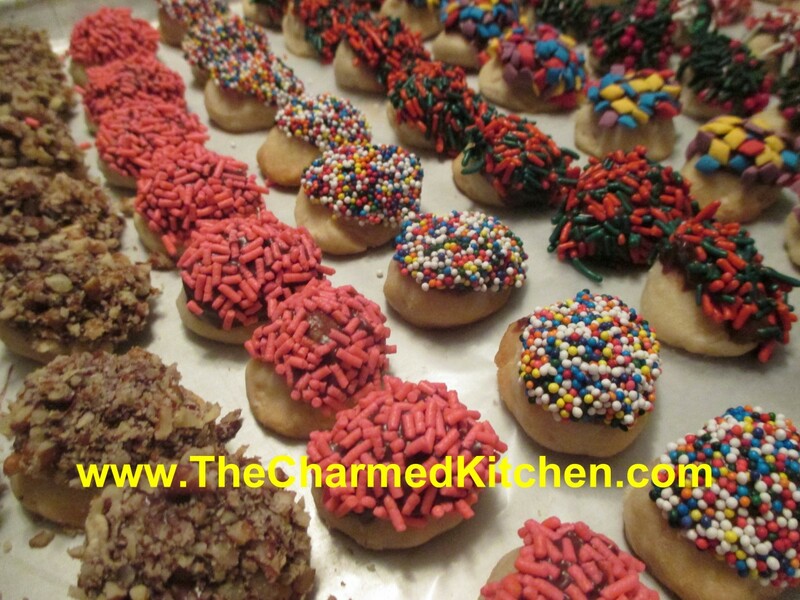 After they are baked and cooled, the cookies are dipped in melted chocolate and then in assorted toppings. You can dip them in sprinkles, finely chopped nuts and coconut. Pretty and tasty. Cream together butter, sugar and vanilla. Stir in flour and oats. Shape teaspoonfuls of the dough into different shapes like rounds, ovals, cones cubes etc. Try to make them look like little candies. They will hold their shape very well while baking. Bake in a 325- degree oven for 20-25 minutes on an ungreased baking sheet. Cool. In microwave safe dish combine chocolate and milk and melt. 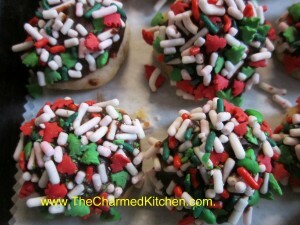 Dip tops of cookies in chocolate mixture and then in one of the toppings you have. Chocolate topping will harden up after a while. Makes about 4 dozen. I never met a shortbread cookie I didn’t like. These are no exception. With the addition of cocoa, you end up with a cookie that has the traditional delicate texture of shortbread, with the added bonus of a rich chocolate flavor. They are great just plain, dusted with powdered sugar or, my favorite way, brushed with a little melted bittersweet chocolate. Simple, tasty and a nice treat for the chocolate lovers you love. Beat together butter and sugar until well blended. Mix together dry ingredients and slowly beat into butter mixture, stirring it in at the end. Roll out dough about 1/4 inch thick and cut out with cookie cutters. Re-roll scraps and cut out the remaining dough. 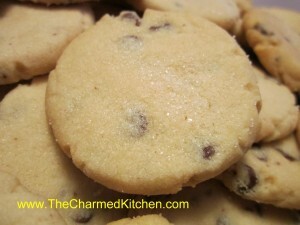 Place on an un-greased baking sheet and bake at 325 degrees until cookies are firm around the edges, about 20 minutes. Cool on baking sheet 5 minutes before transferring to a rack to cool. Melt chocolate and dip cookies in it or use chocolate to hold 2 cookies together. Makes 2-3 dozen, depending on the size. 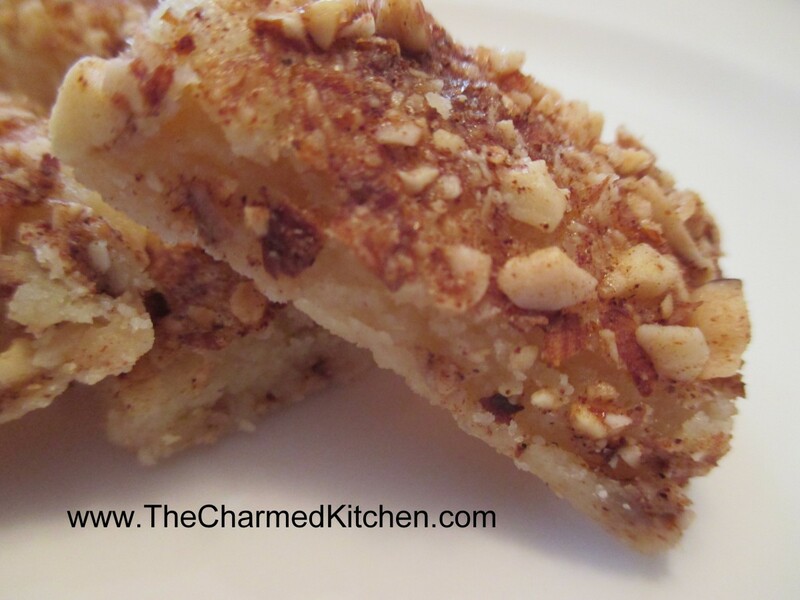 These cookies are a lovely little shortbread cookie topped with cinnamon laced nuts. They are really tasty and because they are a bar cookie they are also a great time saver. You just make a batch of dough and press it into a small jelly roll pan. Top with egg white and a cinnamon nut mixture and bake. As soon as they come out of the oven cut them into little strips. I got nearly 100 out of one batch. It depends on the size you cut them. If you are looking for a simple, yet wonderful cookie, you might want to try these. Lightly grease jellyroll pan (10×15). Mix butter, sugar and egg yolk then stir in flour. Pat into pan. Beat egg white with water until frothy and spread over dough. Combine nuts and cinnamon. Sprinkle on nut mixture and bake in a 350-degree oven for 20-25 minutes or until lightly browned. Cut immediately into tiny strips, makes 50- 100 . I had a conversation with a childhood friend recently about these cookies. She remembered that my Mom used to make them and she wondered if I still did. I still do make them. Wouldn’t seem like Christmas without them. Russian Teacakes, also known as Mexican Wedding Cakes are a delicate nut filled shortbread cookie coated in powdered sugar. 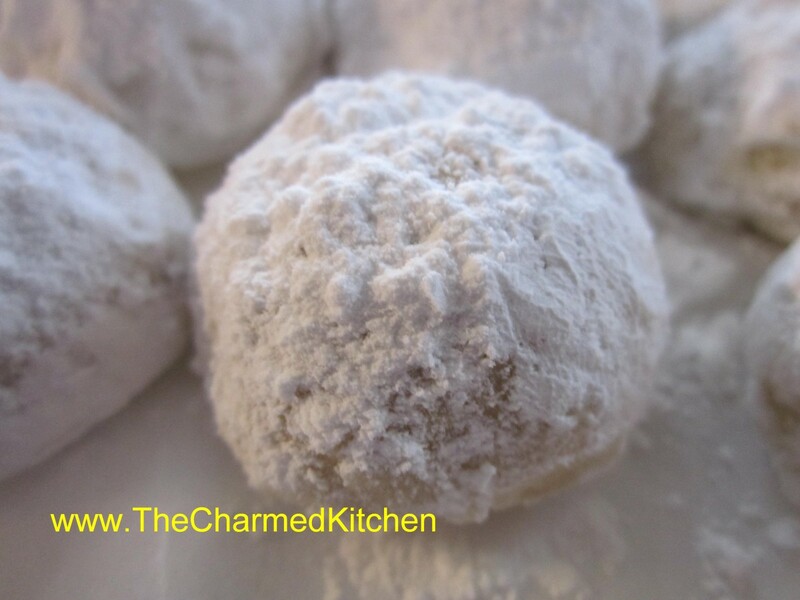 The magic is created when the cookies, hot from the oven, are rolled in powdered sugar. Once cooled they are dusted with more powdered sugar. Whether you call them Russian Teacakes, Mexican Wedding Cakes, or as another friend always refers to them, butter balls, these cookies are a must for your holiday cookie baking. Mix butter, ½ cup sugar and vanilla well. Stir flour and salt together and then add to butter mixture. Mix well and stir in nuts. Wrap dough and chill. Heat oven to 375 degrees. Roll dough into 1-inch balls and place 1 inch apart on ungreased baking sheet. Bake 10-12 minutes. 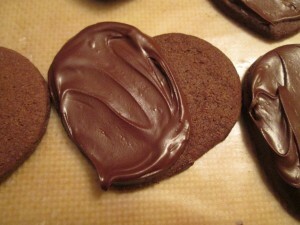 Cookies should be lightly browned on the bottom. While still warm, roll cookies in powdered sugar. Dust again with sugar once cooled. Makes about 4 dozen. These oatmeal shortbread cookies are one of my must-do cookies every holiday season. The dough is molded into little shapes then baked. They keep their shape pretty well. Once cooled the cookie are dipped in melted chocolate and then dipped in assorted toppings like sprinkles, coconut or sprinkles. They end up looking like little candies. A great cookie and fun for kids to help decorate. It is the time of year when a lot of people are baking cookies. I thought I would share one of my favorite cookie recipes with you. These little cookies are delicate and full of flavor. I will admit to being a big fan of shortbread cookies. These are enhanced with mini chocolate chips and just melt in your mouth. 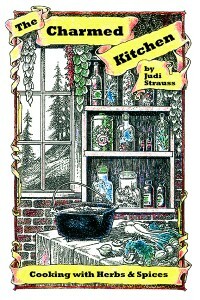 I’ll be posting cookie recipes for the next couple of weeks so keep looking for more. With electric mixer beat butter, brown sugar and vanilla until well mixed. Stir in flour and cornstarch and then stir in chips. Form into 1-inch balls and place on ungreased baking sheet. Pour granulated sugar on a small plate and dip bottom of drinking glass into the sugar and use this to gently flatten down the cookies. Press small indent in each cookie with a teaspoon. Bake in a preheated 300-degree oven for 15-20 minutes or until the cookies start to brown on the bottom. Cool on sheets 5 minutes before removing to a cooling rack. Makes about 3 ½ dozen. I got a bag of gluten free flour a while ago and keep experimenting with it. Last night I made a shortbread-type cookie and was really pleased with the results. Not because these cookies are OK, but because these cookies are great. I would make them again in a minute. Super crisp and not too sweet they were also very easy to make. Gluten-free flour is getting easier to find. I got mine at Costco. Preheat oven to 325 degrees. In mixing bowl cream together the butter and sugar until smooth. Stir in the vanilla and salt. Stir in the flour and then stir in the cinnamon. Roll dough into 1-inch balls and place on an ungreased baking sheet. 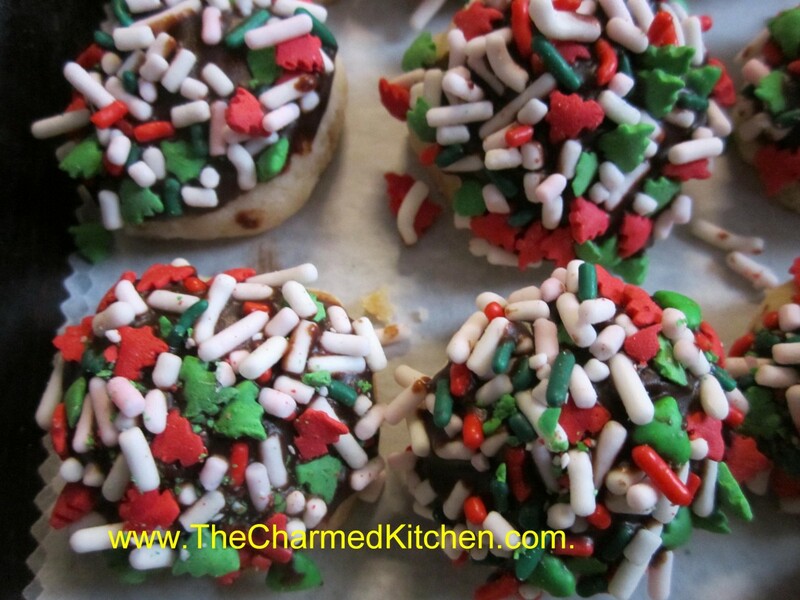 Flatten the cookies out by dipping the bottom of a glass in some sugar and pressing down on the dough. To help the sugar to stick to the bottom of the glass rub a tiny bit of butter on the bottom of the glass. I used the paper the butter was wrapped in. After you dip the glass the first time the sugar will stick to it. Bake cookies for 12-15 minutes- or until golden around the edges. Cool on wire rack. Makes 30. I have always been a big fan of shortbread cookies. This Chocolate Shortbread Cookie ranks up there with one of my favorite cookies of all time. Not too sweet and that wonderful crumbly texture found in all really good shortbread cookies. I finish them of by either brushing them or dipping them in melted chocolate or making a sandwich cookie by holding 2 cookies together with melted bittersweet chocolate. Fun dessert anytime. Extra nice for Valentine’s Day.